Siemens Round non-illuminated selector switch operator functions with right, left and center maintained action. It has plastic construction with metal front ring for durability. 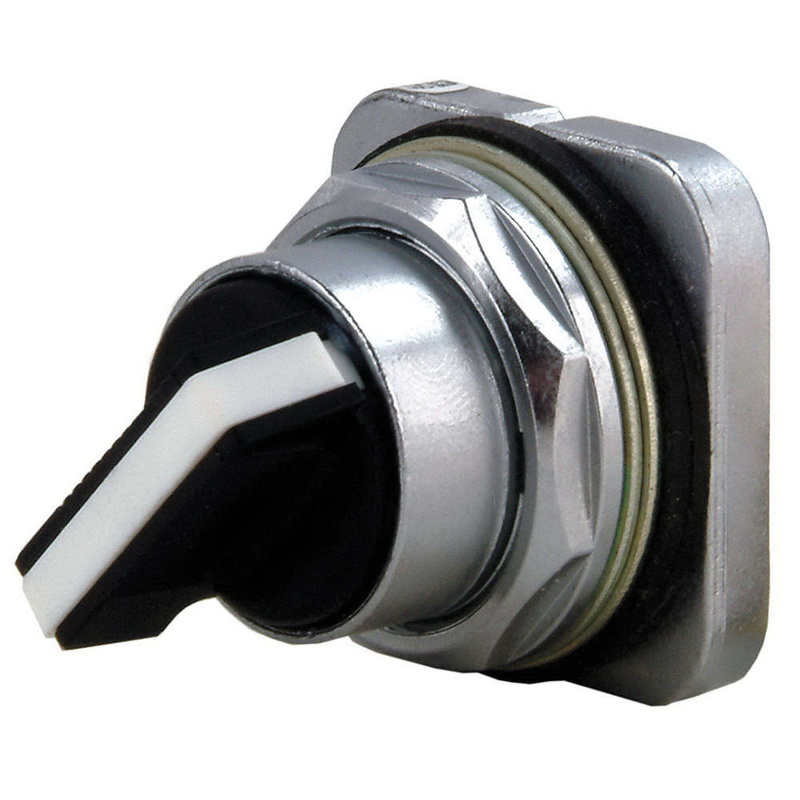 This 3-position switch operator has a hole diameter of 30 mm. The IP66 and NEMA 1, 3, 3R, 4, 4X, 12, 13 rated operator comes in black color with white insert and chrome front ring. The Cam C switch operator is operated through short lever actuator. The switch operator meets UL and CSA standards.